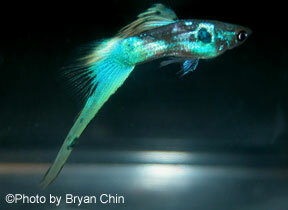 The swordtail come in single or double sword tail. Ideally only the sword portion of the tail should be colored with 5 to 1 proportioned dorsal. 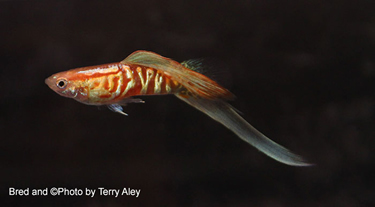 Swordtails are long lived compared to delta tailed guppies. This lower swordtail would be entered in the single swordtail class. Terry Aley has won multiple 1st place awards with this strain. 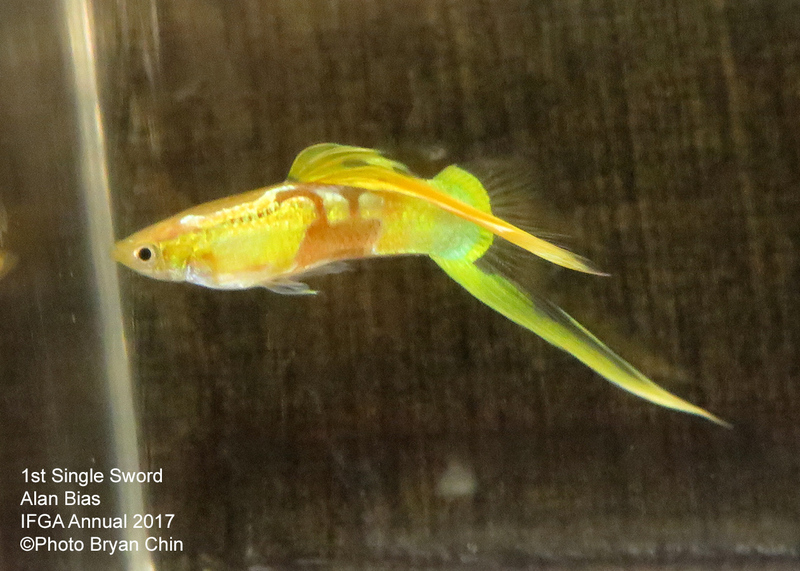 This lower swordtail would be entered in the single swordtail class. Alan Bias has won multiple 1st place awards and has a informative blog on genetics. Perfect shaped lower sword. 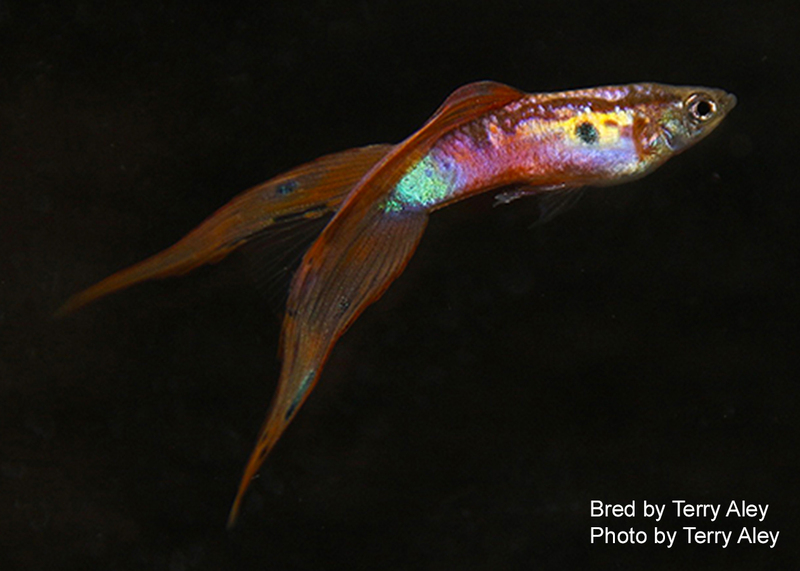 This double swordtail guppy shows good shape to the IFGA double sword tail standard. IFGA requires that the double sword shows clear finnage between the swords. This proves that the fish was not a trimmed delta tail to be a double sword. 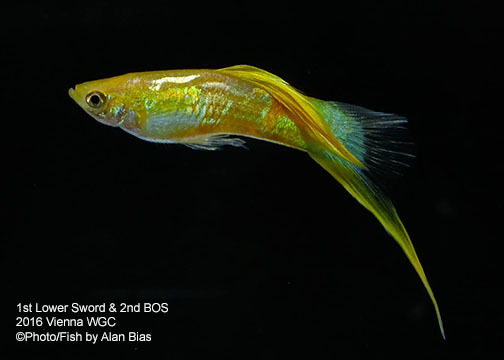 This lower swordtail would be entered in the single swordtail class. 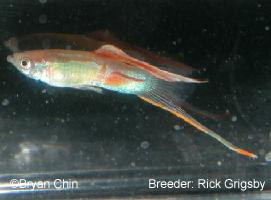 This bottom swordtail would be entered in the single swordtail class. This double swordtail would be entered in the Double Swordtail class.